Funny, sad, gritty and grand: A Reading Journal: "Raining in her skull": Tribute to Anne Bishop's "Written in Red"
"Raining in her skull": Tribute to Anne Bishop's "Written in Red"
Tess from Anne Bishop's "Written in Red," the first book in her "Others" series. 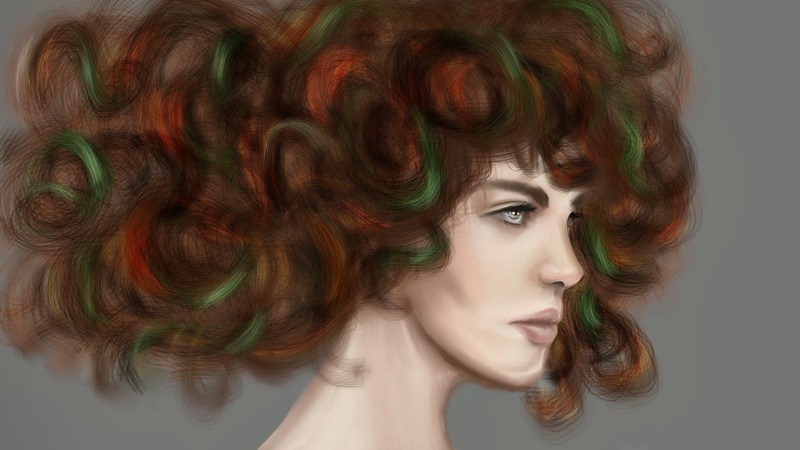 I wanted to paint Tess because the descriptions of her hair sound amazing in the book: it's brown and straight, but when she gets angry, it starts to curl, turn red, green and then black. But then I covered up all of her hair with blizzard-ness, since the scene I was trying to depict was Tess waiting in the blizzard near the end of the book for Asia. 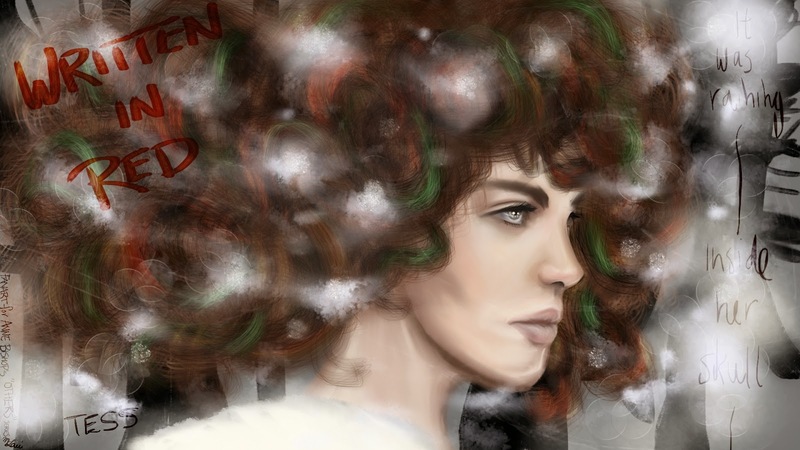 So here's the picture with the blizzard (and background) layer removed, where you can actually see her crazy hair. I'm working on a Jenni Crowgard picture next. One of the things I love about the "Written in Red" and its sequel "Murder of Crows" is how the heroine has so many strong female friends. Urban fantasy usually has strong heroines, but they are often isolated in terms of their relationships with other females. But Meg, the heroine in the "Others" series, has lots of strong female friends, both human (Merri Lee, Ruthie, Jean) and "Other."